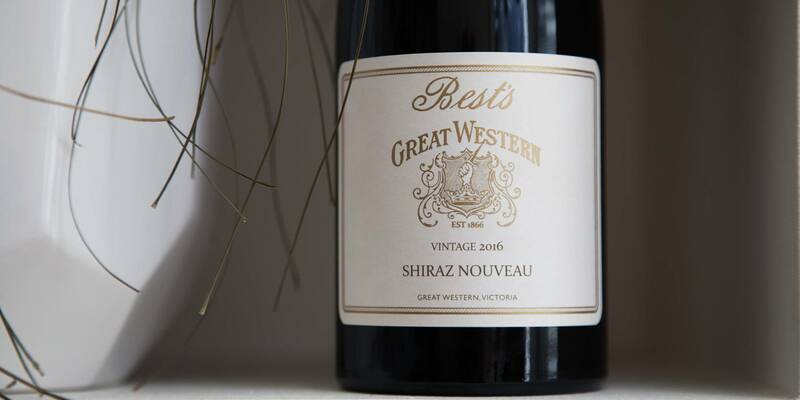 Best's of Great Western (Western Victoria we mean!) is a venerable estate, dating back to the mid 1800s. They have some of the oldest vineyards in the world, and are best known for their floral Rieslings sturdy Shirazes. Recently however they have been bringing a fresh approach and some experimental ideas to the table...thus Exhibit A : this incredibly delicious Shiraz Nouveau! The grapes were picked earlier than normal and were fermented as whole berries (a technique often used to aid in aroma lift) and the resulting juice did not spend any time in oak. 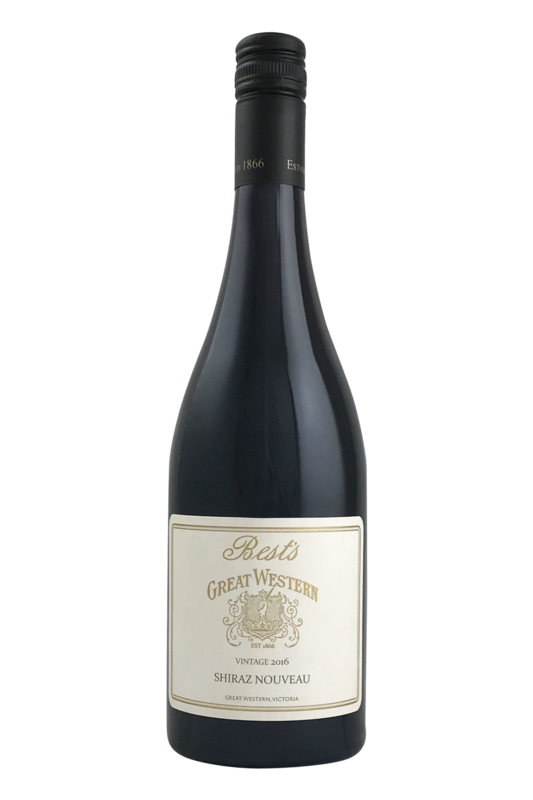 This all combines to a light, floral, juicy Syrah that is perfect for when the sun is shining. 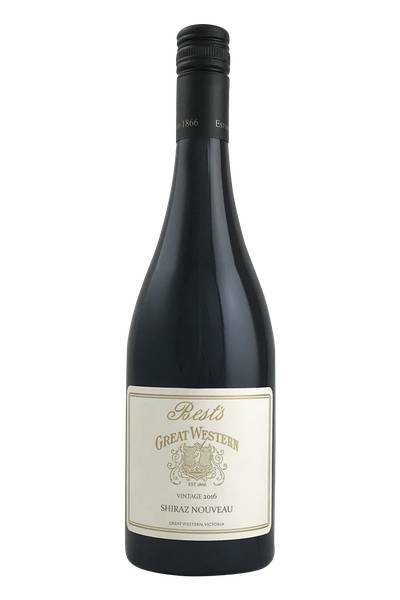 This Shiraz from Best’s is a great example of the depth of flavour this grape consistently gives, and as with most Shiraz, it’s an absolute banger when it comes to food pairing. Big hunks of charred meat is what this wine likes to be drank alongside, so get down to the butchers, fire up the barbeque, and get your mates on the phone. It’s a wine which is made for beef, and especially the cheaper, rougher cuts like brisket, or slow cooked stewing steak. However, it’s not all about bringing out your inner hunter-gatherer… this Shiraz is also going to be lovely enjoyed alongside Mediterranean lamb dishes - think shawarma and kebabs, or Moroccan tagines - or even game dishes, including duck (and especially when served with plum sauce! ).